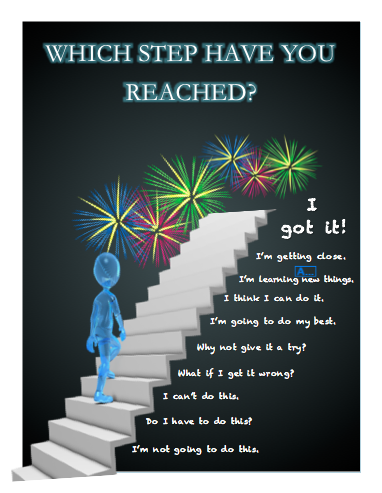 This entry was posted in Resources and tagged Carol Dweck, Growth Mindset. Love this poster. Just at the moment I am into motivating posters. Thought that I would try this in pastoral care but with a twist. After talking about positive and negative mindsets, I am going to write the 10 steps on IWB out of order and get students to sequence them. An interesting aside – read an article in the Advertiser last week about how visually ‘busy’ classrooms can interfere with student learning as students are distracted by what is pinned up on the walls. I love this poster! Do you know if this is available somewhere to buy? 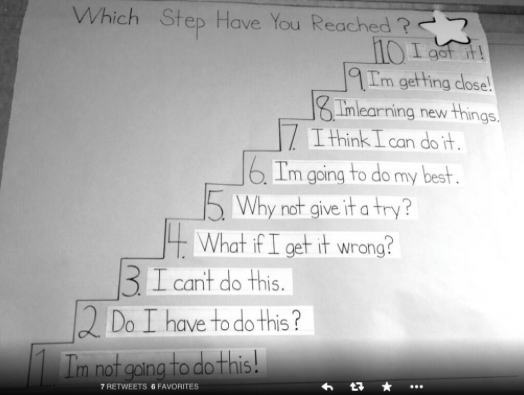 Also, does anyone know of a catalogue/store that markets growth mindset posters such as this? Thanks Andrea. Like I said in the post I merely modified the formating using someone else’s terminology. Feel free to use my poster and share with whoever you like. Here is a link to the poster which you can download.